Kentucky Kingdom announced a 15 million dollar investment today with the re-imagined Storm Chaser, built by Rocky Mountain Construction. 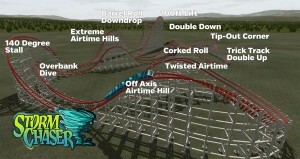 Storm Chaser will take place of the former Twisted Twins dueling CCI coaster that closed when Six Flags left the park. The ride has been Standing But Not Operating since the end of the 2008 season. 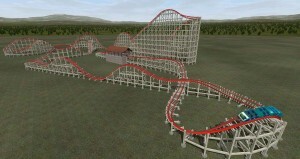 Storm Chaser will run on RMC’s I Box track, making it a steel roller coaster. 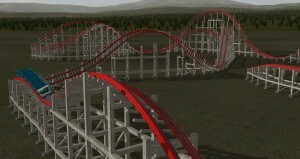 This same design was used in Twisted Colossus and The New Texas Giant. 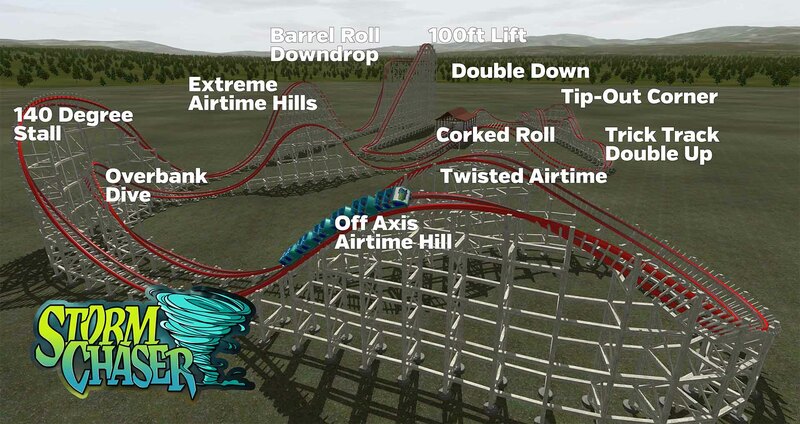 It will stand 100 feet tall and drop at 78 degrees while inverting you in the process, in America’s first Barrel Roll Drop. Kentucky Kingdom sent us a press release which you can read below. 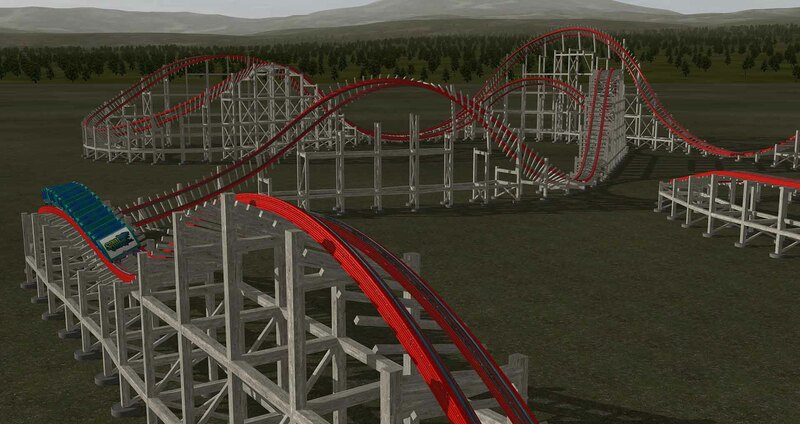 KENTUCKY KINGDOM ANNOUNCES ITS MOST EXCITING COASTER YET! 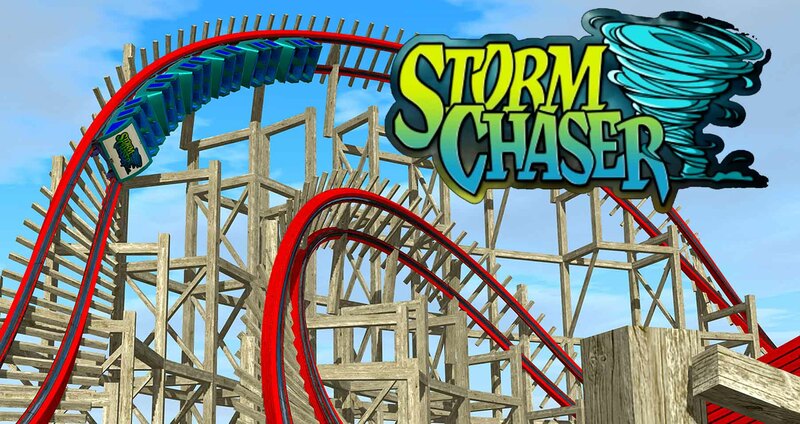 Louisville, Kentucky, July 20, 2015: Kentucky Kingdom announces the upcoming addition of Storm Chaser, its fifth roller coaster and second new coaster since the theme park reopened 14 months ago. Kentucky Kingdom is recognized within the amusement industry for its diverse mix of thrilling coasters, which include Thunder Run, the classic wooden coaster ranked among the top “woodies” in the world; T3, its newly revamped and reopened suspended looping coaster; Lightning Run, a one-of-a-kind hyper coaster introduced in 2014 and rated among the top 25 steel coasters in the world by Amusement Today; and the Roller Skater, a whimsically themed family coaster and a favorite with all ages. 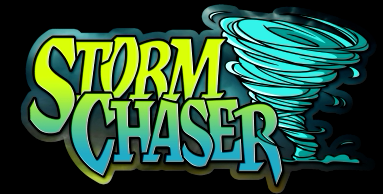 Some might refer to Storm Chaser as a hybrid coaster, but it’s actually an entirely new category of coaster. 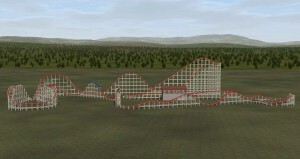 There are only five other parks in the world to have a coaster with the revolutionary iBox track and they are the marquee attractions at some of the largest parks in the world, including Six Flags Magic Mountain (Valencia, California), Six Flags Fiesta Texas (San Antonio, Texas), and Six Flags New England (Agawam, Massachusetts). Mulcahy confirmed that Storm Chaser will replace the coaster formerly known as Twisted Twins. Work on this project has already begun and Storm Chaser will be ready for its first riders when the park opens in the spring of 2016. The American Coaster Enthusiasts (ACE) appears to agree. 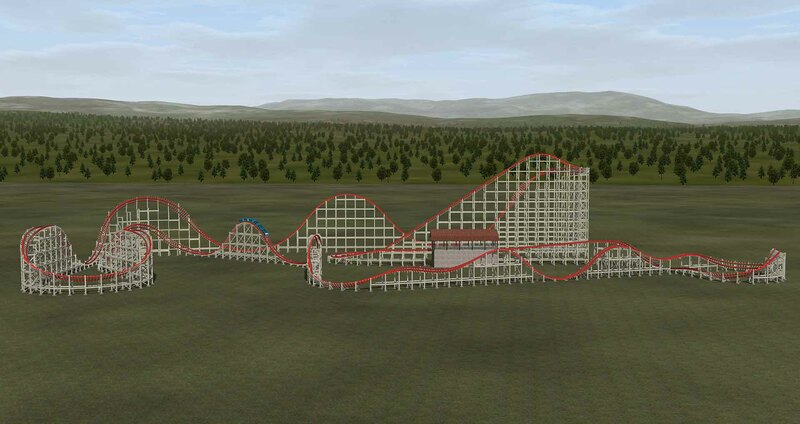 With anticipation for Storm Chaser building, ACE has selected Kentucky Kingdom to be among the four major regional theme parks to host its national convention next July. Kentucky Kingdom and Hurricane Bay is open daily through August 11th, the weekend of August 15th and 16th. Kentucky Kingdom (only) operates as part of the Kentucky State Fair August 20 through 30 (see website for alternate operating hour and ticketing). Kentucky Kingdom and Hurricane Bay then reopen for Labor Day weekend and select weekends during the month of September (check park schedule via kentuckykingdom.com). Six Flags Discovery Kingdom today announced the closure of one of their eight roller coasters. Roar will officially be silenced on August 16th 2015, one month from today. After that date the iconic wooden roller coaster will be permanently closed. Roar was crested in 1999 by Great Coasters International (GCI), and was the first to open with the Millennium Flyer coaster train, a state of the art rolling stock at the time. 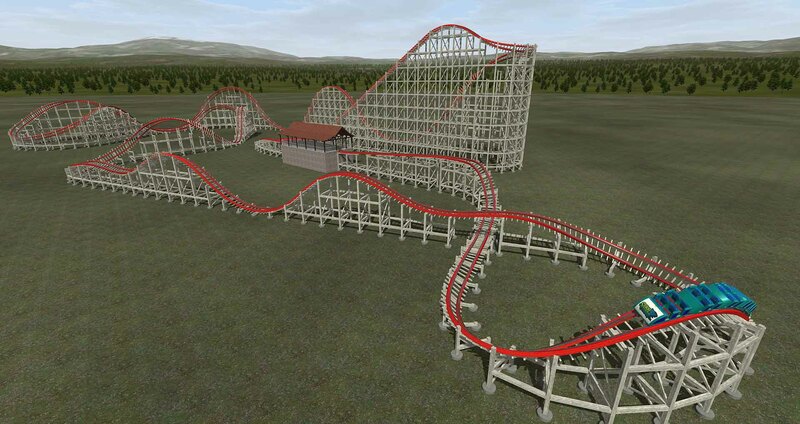 In The Loop listener Josh E was quoted saying “I Like it”, “Reasonably Smooth” and “was a present surprise”, however it seems the public is more excited for the rumored Iron Horse Treatment from Rocky Mountain Construction which turns older wooden roller coasters into a modern steel hybrid attraction. 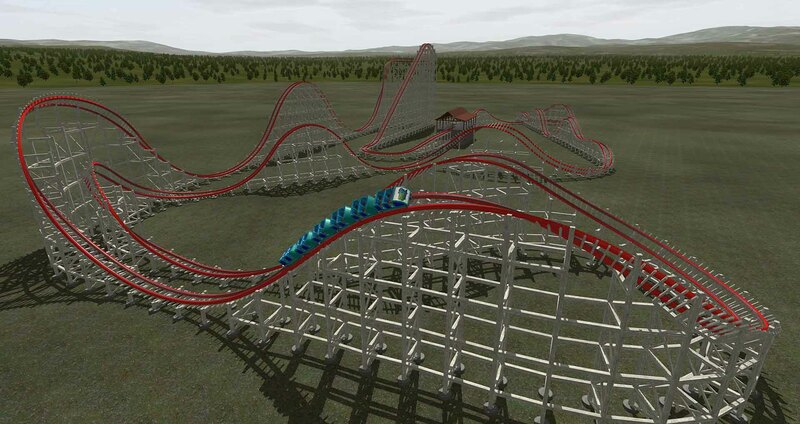 Six Flags has not announced this transformation yet so stay tuned for further news. That being said if you would like to experience current condition Roar you have a month left to do that. Six Flags did give us a press release and that is below. VALLEJO, Calif. – July 16, 2015 – Six Flags Discovery Kingdom today announced that its iconic wooden roller coaster, Roar, is set to close on Sunday, August 16, 2015. Guests and fans can ride Roar one last time from 10:30 a.m. to 8 p.m. on August 16. After that, the ride will be permanently closed. Roar opened in 1999 amidst a major revitalization effort, with several new shows and attractions, restaurants and shops opening simultaneously. Since that time, an estimated 11 million guests have experienced the 10-story coaster featuring six reversals, 22 crossovers, 17 turns and 12 breathtaking drops, in this 55 mph ride that was named for the thunderous roar of a California sea lion. Roar is a traditional wooden roller coaster featuring a 3,467 foot-long wooden track. Officials have not announced any plans for an attraction to replace the coaster. A special fond farewell to Roar will include a series of events for guests and Season Pass holders, the highlight of which will be a special last rider event coinciding with National Roller Coaster Day on August 16. 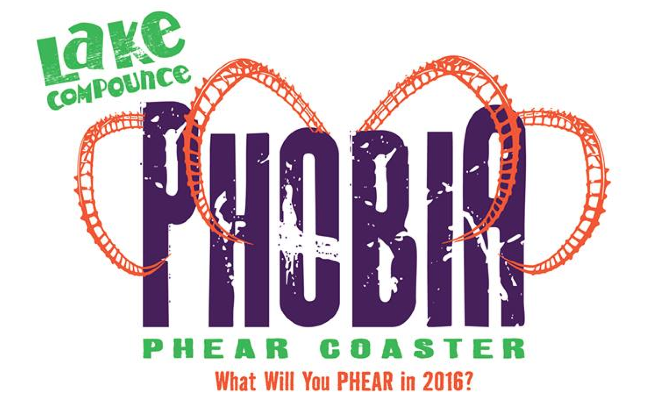 Lake Compounce has concluded the What’s In The Box teaser campaign, with announcing Phobia Phear Coaster! The ride will be themed to several phobias that guests will experience during the attraction. This ride will launch riders three times using Linear Synchronized Motor (LSM) technology in New England’s only triple launched roller coaster to thrust riders down the track reaching speeds of 65 MPH. 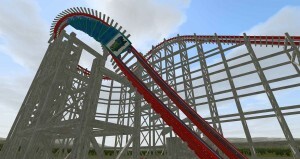 The Ride will be manufactured by Premier Rides and will feature an inversion at 150 feet. 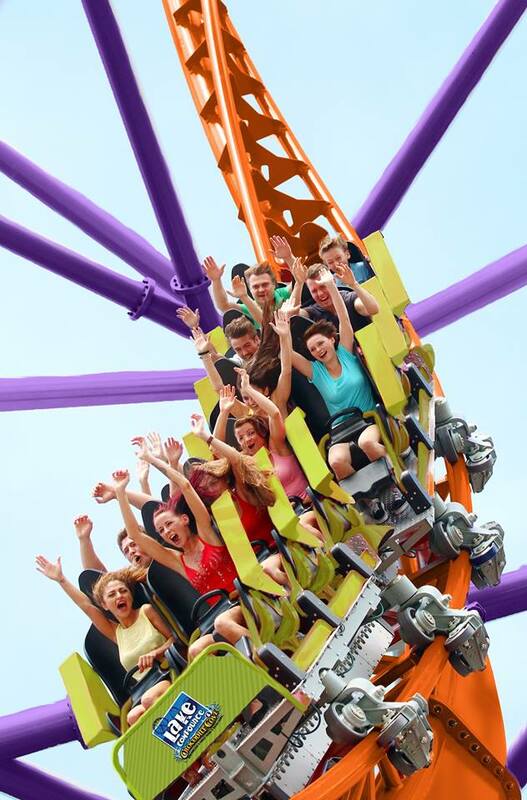 Lake Compounce General Manager, Jerry Brick stated “Phobia will be the largest financial investment we have made to the park in our history and we couldn’t be more excited.” This ride is a similar experience to Superman: Ultimate Flight at Six Flags Discovery Kingdom, and Tempesto at Busch Gardens Willamsburg. For more information feel free to check out the parks website. For more information please visit the parks website. 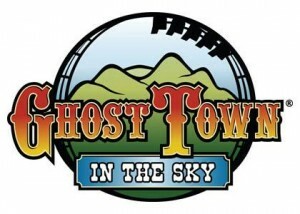 Ghost Town In The Sky, a small park in the Smokey Mountains of North Carolina, which was supposed to open on July 2nd, has announced today that they will not open for the 2015 season. They need more time to work on the updates of the 60+ year old infrastructure of the park. The park is located at the top of a mountain so these updates could take a few more weeks, and it would not be a financially sound decision to open for only part of the season. Alaska Presley, Park President has sent us a press release in regards to the parks current status. As many of you know we have spent the last 3 years rebuilding the infrastructure of Ghost Town. The park is 60+ years old and new electrical, plumbing, evacuation roads and more had to be updated. We have spent more than half a million dollars installing 5000 ft of water lines through out the mountain to replace aging and dry wells. I have now been informed that additional measures must be taken in order for the new lines to pass pressure tests and this will not be completed for several more weeks. Without water we are unable to open to the public. This comes as a disappointment, since we have spent the last several weeks renovating the western town and preparing the restaurants and shops. It is just not cost effective to open for a partial season. We will however be completed and ready to go for next season and ask that you please keep updated on our Facebook page for 2016 opening announcements. We have been working on re-branding Ghost Town into a family destination taking it from the 1960’s to the 2020’s and although it may seem like little has been done, I assure you, you must first complete a solid infrastructure in order to build a memorable destination and we have almost completed that. Ghost Town’s future holds exciting new activities like our all new AirWalk which will be a conversion of the existing roller coaster to a harnessed climbable course, extended zip lines, from up the mountain, an Appalachian Village to include local entertainment and artisans and much more. We truly appreciate your understanding and will continue to update you as we progress. An unfortunate event took place at Kennywood Park on July, 4th 2015. Guests came from all over to celebrate Independence Day and America with thrills and fireworks but one guest got more than she anticipated. A woman around 10:10 PM was walking towards the exit of the park when a bullet penetrated her upper chest near her shoulder. The Lady was walking near the bumper cars, known as Grand Prix at Kennywood, when a shot was fired. Police have determined the bullet came from outside of the park in what is assumed a 4th of July celebration. Kennywood wanted to assure guests that this was a freak accident. Park Spokesman Chris Salerno stated “It was a freak accident” and that “We’ve continued the ramped-up police presence, and it was absolutely in place”. This incident is unrelated from the situation that took place opening weekend.